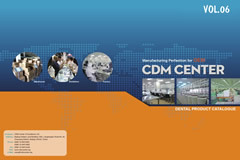 Our experience in manufacturing medical device and special dental products, CDM Center of Excellence has developed and has extensive experience with all types of bonding methods required for the product and assembly requirements of the Dental Material, Medical Device and Healthcare Industries. With extensive experience in manufacturing all types of catheters, needles and endodontic instruments CDM Center of Excellence offers an extensive knowledge for the forming and manufacturing of all types of tubing, metal processing based on CAD/ CAM technology support. With our new tip forming technology, CDM Center of Excellence manufactures FEP, PTFE, TPE, and DEHP — Free medical tubing tips in multiple shapes, forms and sizes. CDM Center of Excellence also offers various methods for punching holes on catheters, needles and endodontic instruments . Along with the standard systems CDM Center has developed an Ultrasonic Hole as well as Laser Punching Technology that allows our system to create edges and that have a true radius shape, providing a device that offers perfect handling and is less painful for the patient. CDM Center of Excellence integrates a variety of printing, marking, and labeling solutions directly into our manufacturing processes . CDM Center of Excellence Printing Systems are used for exclusive packaging designs, lot code traceability, reference identification, and date marking and identification, bar coding, dose marking, or part orientation.